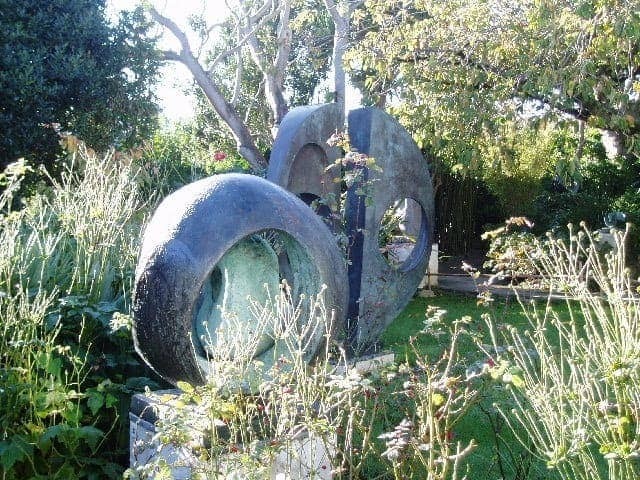 The Barbara Hepworth Museum and Sculpture Garden in St Ives, Cornwall, preserves the renowned 20th century sculptor Barbara Hepworth's studio and garden much as they were when she lived and worked there. She purchased the studio, a stone built house typical of the area, in 1949. In the workshop, her tools, equipment, materials, work in progress and un-cut stones can be seen. The sculptures featured at the museum and garden were some of her favourites reportedly. Barbara Hepworth died in a fire at this site in 1975, when she was aged 72. The museum is managed by the Tate gallery.